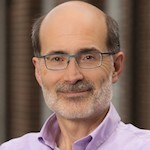 Amasino has a long history of extraordinary research, teaching, and service to the university, state of Wisconsin, and the worldwide scientific community. His research as a plant biochemist has combined biochemistry, molecular biology, and genetic approaches to investigate the molecular basis of how plants sense the seasonal cues of changing day-length and temperature and use these cues to flower at the appropriate time of year. He also participates in the research program of the Department of Energy-funded Great Lakes Bioenergy Research Center (GLBRC), studying how to increase yield of grasses used for biomass production, and for the first 10 years of the GLBRC served on the management team that oversaw the research portfolio. studies as a model organism. For more than two decades, Amasino has played a major role in the teaching of the Department of Biochemistry’s foundational course for undergraduates, Biochemistry 501. It is a required course for over 1000 science majors per year from all across campus. His educational efforts also extend beyond the campus classrooms. He served as the principal investigator on a grant from the National Institute of Food and Agriculture to develop multicultural learning materials involved in energy sustainability with the College of the Menominee Nation. He also is a Howard Hughes Medical Institute (HHMI) Professor and part of his HHMI program is to introduce genetics into K-12 classrooms using plants. His educational efforts have garnered him awards such as the College of Agricultural and Life Sciences Spitzer Award, the Underkofler Award of the University of Wisconsin System, and a Residence Hall Award from students. genetically engineered crops to assessment in K-12 science education.